More recent listings for district 42 are available. Born Madison, Wisconsin, November 13, 1961; married; 3 children. Graduate Lodi High School, 1980; University of Wisconsin–Madison, Farm and Industry Short Course, 1981. Farmer and small business owner. 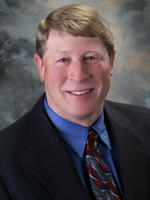 Member: Wisconsin Soybean Marketing Board (former president, vice president); Badger Agvest LLC (former president and cofounder); Wisconsin Corn Growers Association (former president, vice president); Wisconsin Farm Bureau; Lodi FFA Alumni (former president, cofounder); Columbia and Dane County Republican Party; Yellow Thunder Snowmobile Club; Ducks Unlimited. Town of Dane supervisor, 2006–08.